How do I make sure we are doing what is best for our company’s SEO even when we have multiple office locations? This is a question we get a lot when working with advisors on their SEO efforts. 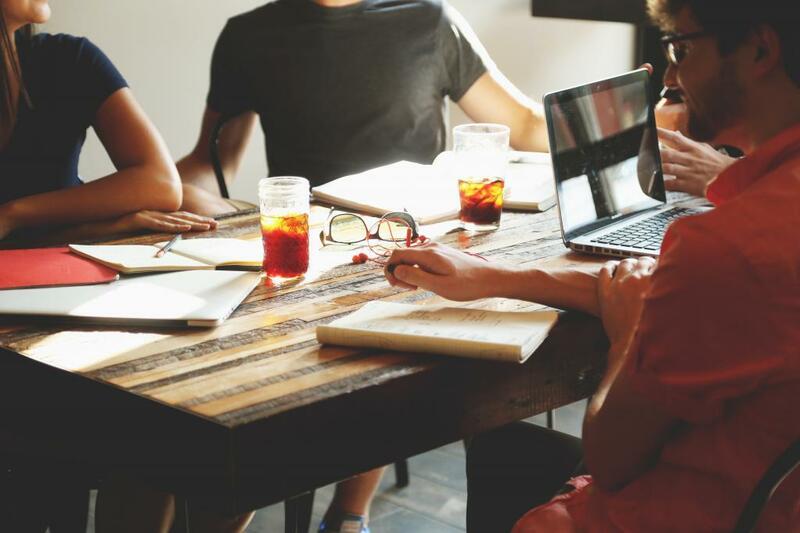 It’s not rare nowadays to have multiple office locations and many advisors often come to us worried that they are pigeonholing themselves by promoting only one of their locations. The statistics can’t be ignored — according to Hubspot, 86% of people look for a business using Google Maps. Furthermore, 50% of local-mobile searchers are looking for business information like a local address. which goes to show just how important it is to provide information for each of your business locations. 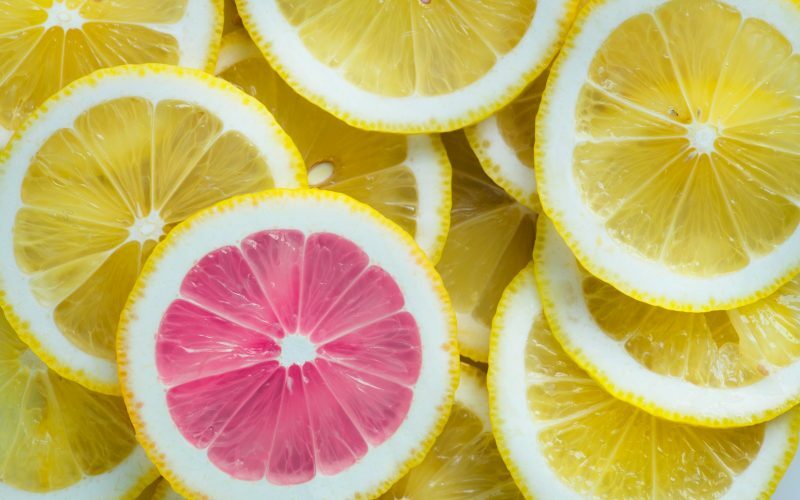 So, in order to avoid confusion, here are 6️⃣ things that we recommend you do in order to improve your SEO for multiple locations. All the necessary information to contact your business (Name, Address, Phone Number). The more information and value that you provide to your visitors on your individual landing pages and the more they serve the intent behind the user search query, then the better these pages will perform! 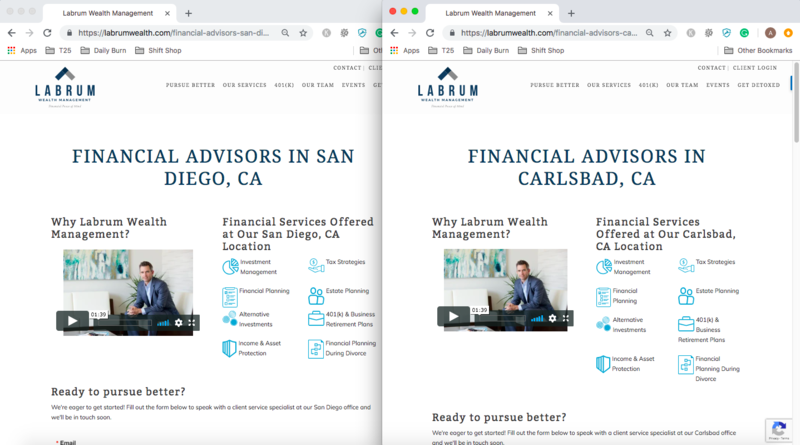 In the examples below Twenty Over Ten client, Labrum Wealth Management has created multiple landing pages for each location they have in the California area. You can see they’ve included the services offered at each location, a video, contact form, and further down the page they embed a Google Map. For multi-location businesses, it is pertinent that you keep it consistent from one location to the next. So, be sure that you sign up for Google My Business, and with this, you can create listings for each individual business location. 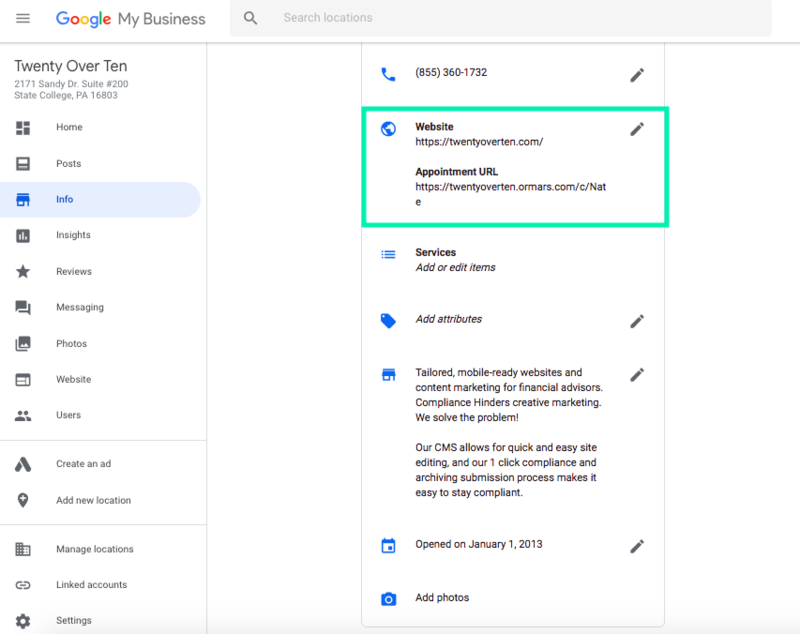 When adding your website URL to your Google My Business listing, be sure to put the unique URL specific to that location’s landing page. Make sure the listed hours are accurate. Be sure to add photos. Manage and respond to reviews in a timely manner. Make sure the name of each store is consistent. Keep the category of each location consistent. This tip applied to both your social profiles and your blog. Make your blog a local destination to help build your businesses’ local relevancy. For example, you could write blog posts about local news, what’s happening around your town, local events, local sponsorships or charities. Give the bio portion of your social profiles a “home-town” feel and be sure that it is personalized. People ❤️ reading about businesses that have a “human” side as it makes the visitor feel like they can relate on a more personal level. By now, you know the importance of linking when it comes to SEO. When it comes for multi-location SEO, consider sponsoring local events and ask them to link to your location-specific landing page. Ultimately, you want to improve the page rank of each of your new location landing pages. Here are a few ways you can do this. Sponsor local events or participate in events with local charities, as this can help you build links to your pages from event websites and local news outlets. Host events at your business in order to garner excitement and gain links. Host informal, after-hours, meetups at your office. Create locally-focused content that people would be interested in reading and sharing. 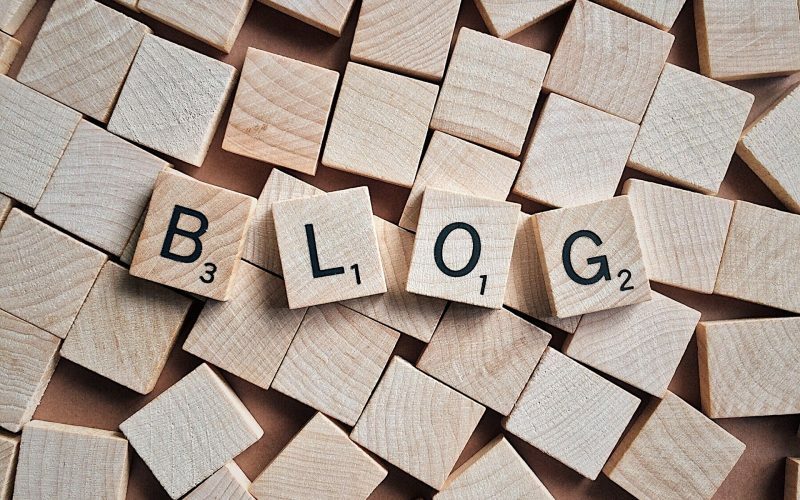 Host a blog on each of your pages to attract interest and links, then use email and social media marketing to push out your blog content. Remember, local links aid in local SEO. This goes back to adding a personal touch to your advisor firm to show that you care about the well-being of the people that you work with and that they can trust you to help them make important financial decisions. A high-quality H1 header tag with your targeted local keyword phrase is necessary for local on-page optimization. Make sure it’s short, catchy, and includes your targeted local keyword phrase in such a way that it does not appear spammy or keyword stuffed. While we have discussed how important it is to have keywords in your content, obviously to improve your rankings, it’s so important to avoid “keyword stuffing.” Keyword stuffing is a technique that is considered spamming where keywords are loaded into a site’s meta tags, content, and links in order to try and gain an advantage against competitors in search engine rankings. Keyword density is a calculation used by search engines to determine the relevancy of where sites rank. This may seem harmless, but Google WILL penalize your site if you are caught keyword stuffing by removing your rankings altogether. 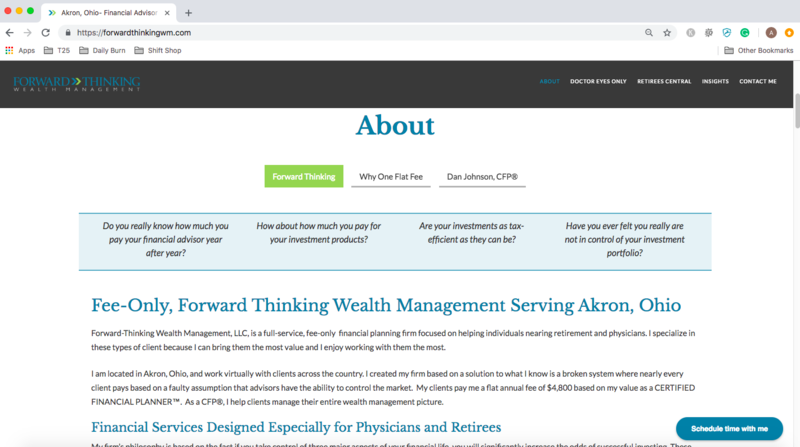 In the example below Twenty Over Ten client, Forward Thinking Wealth Management includes local keywords like “serving Akron, Ohio” in their header tags. Local SEO can be incredibly complex, especially when multiple locations are involved, which is why it’s so important to ask for help if you need it. 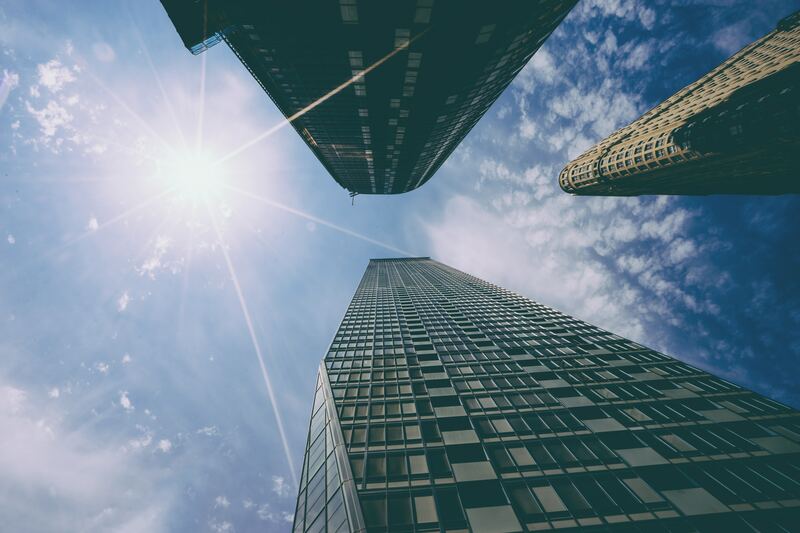 At Twenty Over Ten, we’re not only helping hundreds of financial advisors launch beautifully designed websites but we’re also experienced SEO experts that can help you rise to the top. If you do need help with your SEO efforts please consider our SEO Essentials package, which delivers maximum impact by completing the most important SEO tasks in regards to how your website is setup and registered with Google. At Twenty Over Ten we can help! Our team of experts can assist in all aspects of your firm’s local SEO. ready to jumpstart your firm’s local search presence?